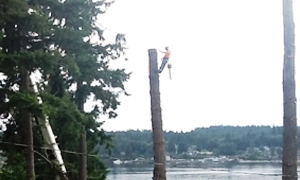 Need tree climbing services in the DuPont, WA area? Call Hunter’s Tree Service. 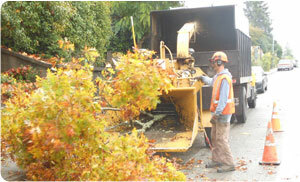 Our company is a fully insured tree service provider that has been in business since 1986. 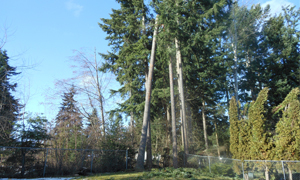 We are staffed by highly experienced technicians who are expert at trimming tall trees. We offer tree climbing services for DuPont property owners who have a variety of tree trimming needs. We offer specialized services for pruning large trees to improve their shape and structure, cutting out diseased or dead branches, removing hazardous or overextending limbs, or carrying out crown thinning, raising, reduction, etc. We also provide tree climbing services for removing tall trees. The height to which a tree grows depends a lot on the type of species and, to some extent, on the care and nutrients it receives. There are several trees that can grow up to 100 ft. When it comes to pruning large trees, DuPont residents should hire the right people for the job. Pruning large trees is trickier and riskier than trimming trees of standard height. Why Choose Us for Trimming Tall Trees in DuPont? Think of us whenever you need services for trimming tall trees! A wrong choice of arborists for trimming tall trees growing on your property can become expensive. You need professionals who do not just know the proper way to cut tree branches but also know how to cut tree limbs that are too high to reach. Looking for expert arborists and tree climbers whom you can rely on for pruning large trees in your DuPont property? Call Hunter’s Tree Service at 03-777-1938.